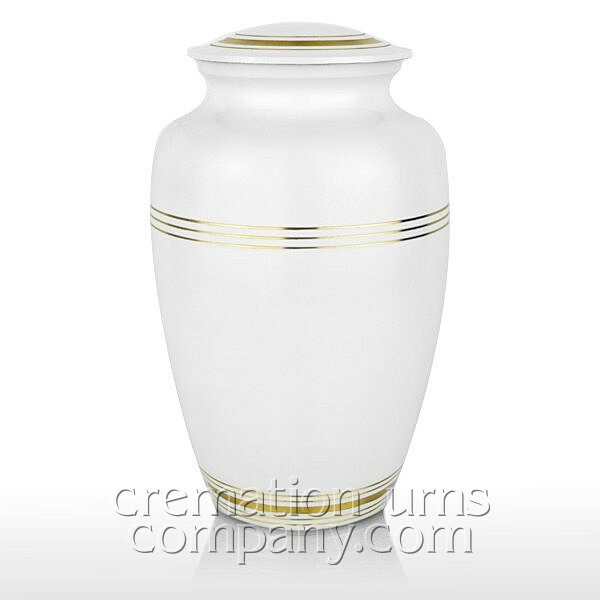 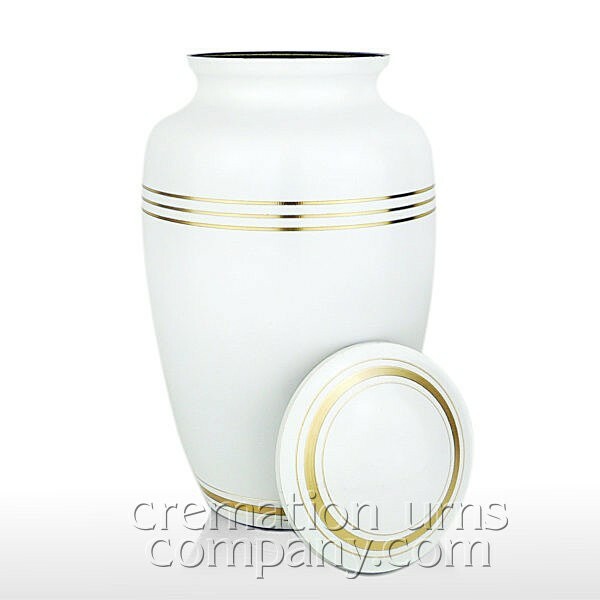 This is the Classic White cremation urn, it has a beautiful satin white body and lid, decorated with a few simple gold bands. It is manufactured to the highest standard and is specifically designed to hold the full ashes of an adult. 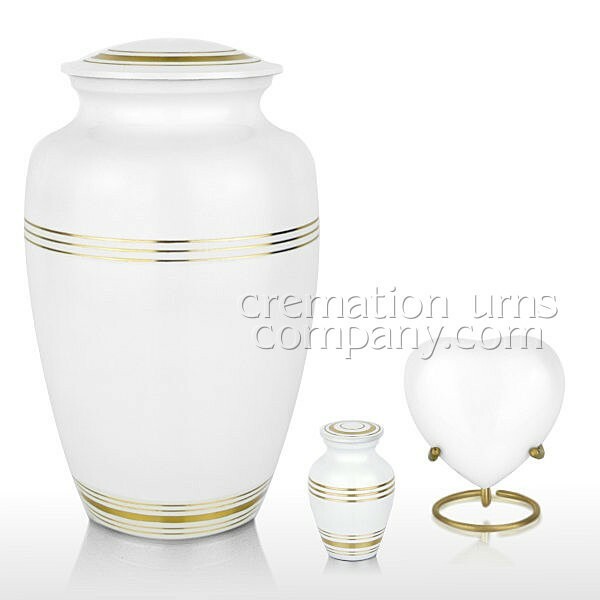 DESCRIPTION - Satin white body and lid, decorated with a few simple gold bands this urn is made of solid cast brass and is weighty and substantial when handled.